What a truly magnificent find Nelson the Seagull was. 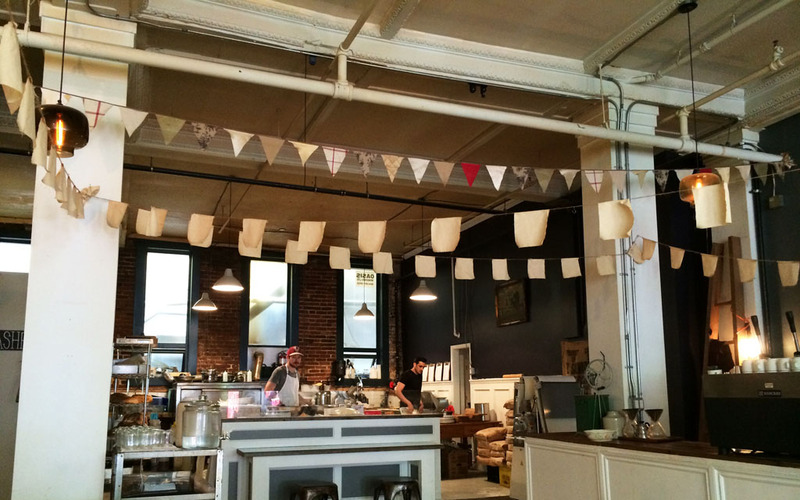 A hip café in the heart of Gastown, with an incredibly inviting space and some of the tastiest food around! Nick and I had not even been in Vancouver 24 hours when I declared that Nelson the Seagull was my new favourite brunch spot. What makes this café stand above the rest is its individual flair, relaxed charm, friendly atmosphere and smiley staff. Oh and the irresistible selection of baked goods. 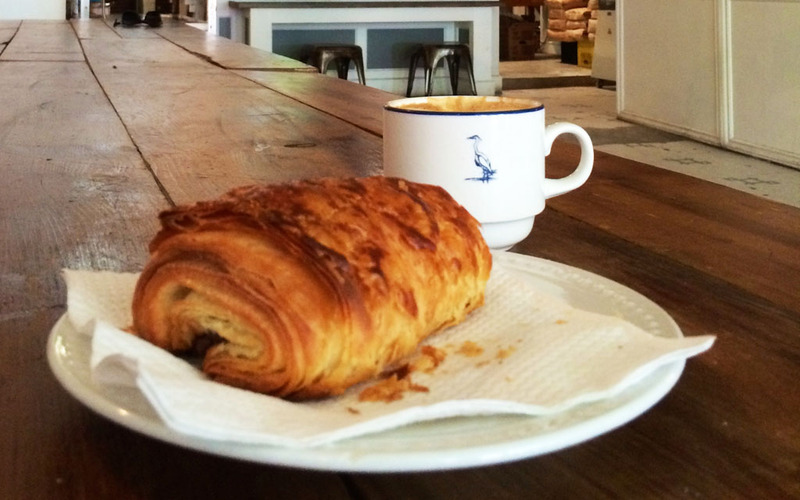 Indeed, the pastries that are spread along the counter and the freshly baked loaves of bread on the shelves behind it are undeniably tempting and outrageously good. My pick is the pain au chocolat. It’s dense, flaky, has the perfect amount of chocolate and is one of the best croissants I’ve ever had! Alternatively, for something more hearty, order off the café’s breakfast or lunch menu. Both are simple yet utterly delicious. The highlight for me has got to be the avocado on toast ($8). 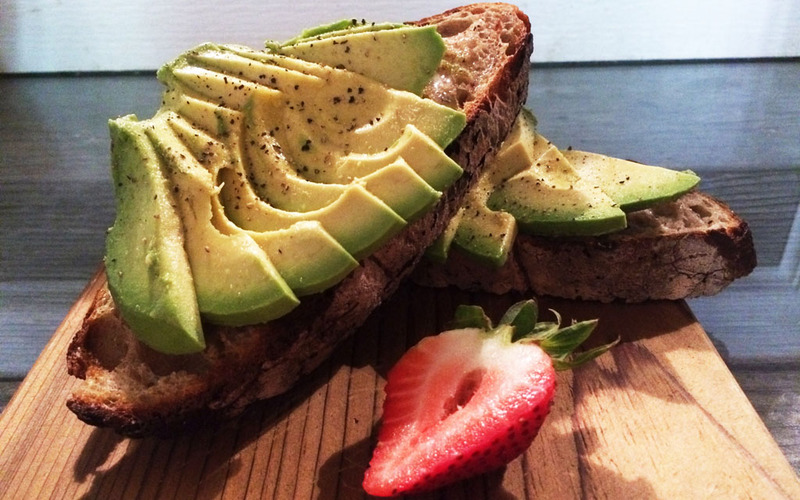 Two thick slices of sourdough bread (made in house) topped with the most generous portion of avocado. Every bite is full of flavour and seems to be more enjoyable than the last. What makes the meals here even more appetising is the knowledge that the gang at Nelson the Seagull try their hardest to source only local and organic produce. Another great feature is the café’s open kitchen. Patrons enjoying a meal can idly watch the chefs mixing and rolling dough, as well as preparing meals and slicing avocados like I’ve never seen them sliced before. It’s a rather slick operation. The café’s interior is also worth a mention. It has a slightly vintage theme and is decorated accordingly: vintage ornaments, tiled flooring, mismatched furniture, reclaimed wooden fixtures and strung up bunting fill the room. It almost has a Brooklyn feel to it. Nelson the Seagull is certainly a welcoming spot, where you can enjoy a coffee, a baked good and sit for hours, as people often do. 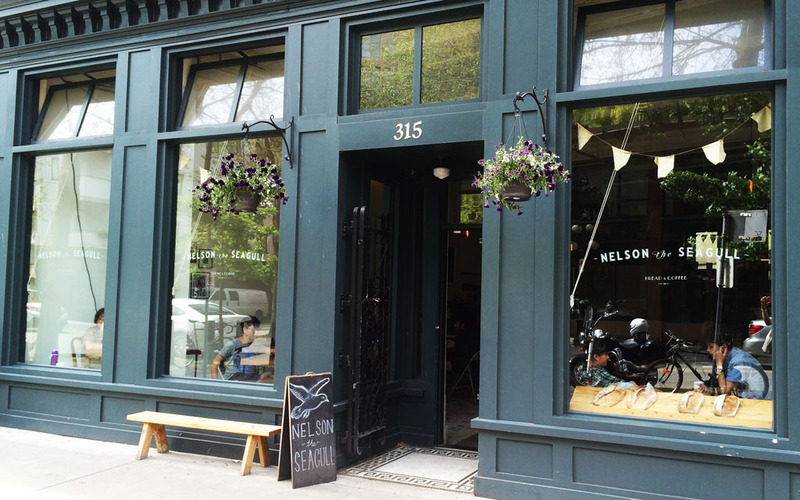 If you're in Gastown and have a hankering for a coffee, a baked good or more substantial grub step into Nelson the Seagull, you won't be disappointed.